New year, new me! Who else is out there is planning lifestyle changes to improve their health with the same level of enthusiasm as winning a major award? (Please tell me you get it! Please! No? FINE. The dad from A Christmas Story winning the lamp- it's a MAJOR AWARD!). I had an epiphany last year about my health. Actually, not really an epiphany but a moment that shocked me. The fact that my age is finally catching up to me. The ability to move and jump just ain't happening anymore. What was it that happened? I woke up and my back was all jacked up. Did I work out the day before? Nope. Did I do any heavy lifting/cleaning/housework/yada yada yada? Not a single thing. I am fairly certain I cooked, did a load of laundry (probably didn't even put it away) and had a Netflix-kinda day. Lame. LAME. I woke up, rolled over to get out of bed and BOOM! I am laid out with pain. Oh and it happened again. On Friday. Yes, this past Friday. THE DAY BEFORE MY BIRTHDAY! *tears* It's sad. It's also evidence that I can't go on like this. My knees hurt. My shoulders hurt. My gut is fat. I am close to 40. I have a child with disabilities that needs me to be healthy to take care of her for as long as I am able to. Diet change is critical and moving is critical. I will be frank- I feel like crap every day. Run down. Yucky. Fatigued. I am moving- don't worry. I am handling this. I eat like crap and I made a promise to myself and to Emma that it's time to fix the way we eat. More plant heavy meals. Less going out to eat. LESS SUGARY DRINKS (buh-bye lattes, I will NOT miss you. Okay. I will BUUUUTTTTT my back will thank me for this). I have been introduced to a very delicious protein powder from GNC. It's plant-based and that makes me excited. 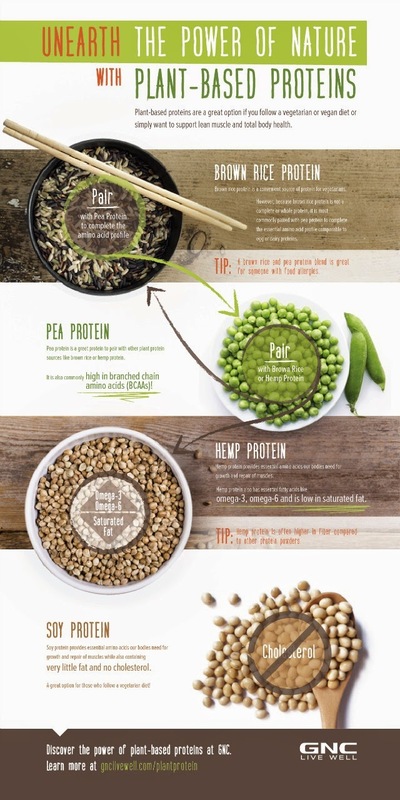 I am loving the plant-based protein options out there and although I am not a vegetarian or a vegan, I am loving the option of reducing animal-based dietary intake. 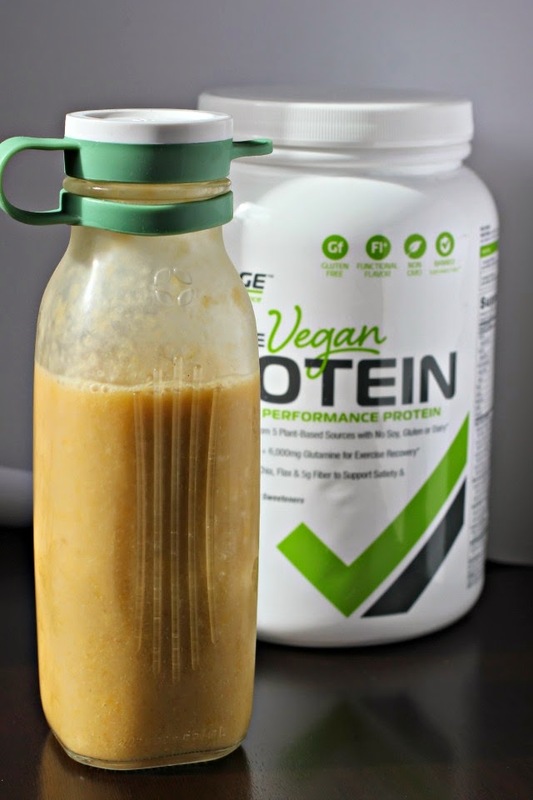 Plant-based proteins can be a great option if you follow a vegetarian or vegan diet or simply want to support lean muscle and total body health. And, they can be added as an ingredient to your favorite recipes you’re already eating at every meal! 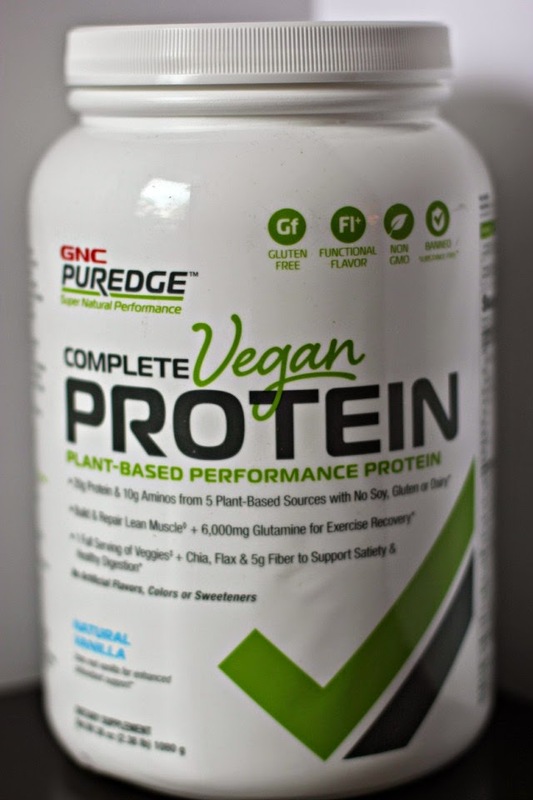 I made a tropical vanilla protein shake with the GNC PUREDGE Complete Vegan Vanilla Protein. 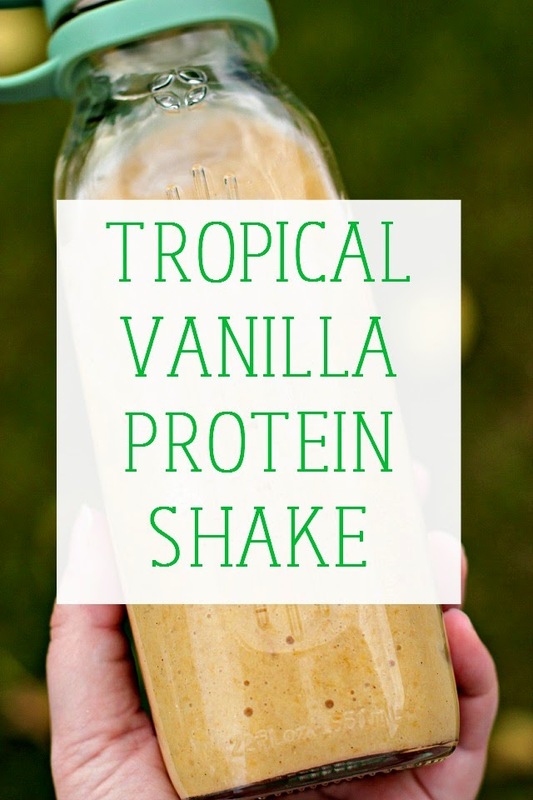 The combination of the vanilla protein powder and tropical fruit worked perfectly together. I also feel better knowing that it's NON GMO protein, the sources for protein are from brown rice, hemp, pea, and soy. Tastes DELICIOUS, I say! DELICIOUS! 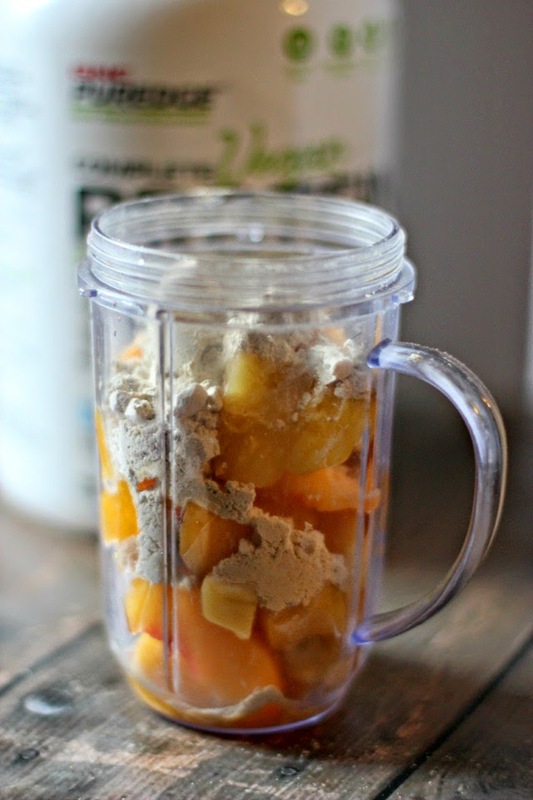 This shake is super simple. Blend it. Drink it pre or post workout (or both pre and post). 8 ounces of ice cold water. Discover the power of plant-based proteins at GNC. Learn more at GNC!. Do you drink protein drinks?